Going to the dentist isn’t just about oral health. Your overall health and the condition of your oral health have been linked through research. Taking care of your mouth and teeth contributes to the health of the rest of your body. One hundred million Americans avoid seeing the dentist each year. Some of that number is due to dental phobia, but some is due to the fact that people don’t think dental health is all that important. Today, your Livonia, MI dentist, Dr. James Stewart, explains why it is. 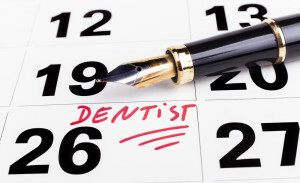 Preventative Dentistry: Regularly scheduled dental visits help prevent many oral problems from developing. Oral-Systemic Connection: Certain diseases or medical conditions have symptoms that can appear in the mouth. During your dental visits, your dentist does a thorough exam of your oral tissues and can spot things you may miss. Cost: Oral health issues can be spotted early if you see your dentist regularly. This is beneficial in that the problems may be easier and less costly to treat, and it can help you to maintain good overall health. In the case of oral cancers, if detected early, a dental visit may even save your life. Don’t wait for symptoms to see your dentist, instead keep symptoms at bay by attending regular dental checkups and professional cleanings to help prevent serious problems from developing.